2) Apply evenly on nose, face, frontal and chin etc. 3) Wait for 15-20 minutes, from top to down, and gently torn off. 4) Finally, please use the warm water to wipe clean. and then put some moisturizing Essence to your face. Due in part because skin caused by acne, acne. Oily skin strawberry nose. Nose large pores blackheads. Long-term use of the computer, watching television. Don’t put a thick layer. Put just suitable enough. otherwise, you will feel painful when peeling off it. Keep the mask mud away from your hair. Apply a amount of the product at the back of the hand or ear, if no allergic reactions (itching, redness) within 5 minutes before using.If there is any discomfort, stop using. For external use only. Avoid directly contact with eyes, brow and lips., if this occurs rinse well with lukewarm water at once. Ⅰ. Product Description: Black peel off facial mask for the removal of blackheads. Activated Charcoal for outstanding removal of impurities Cleans out of dirt and debris effectively on face. 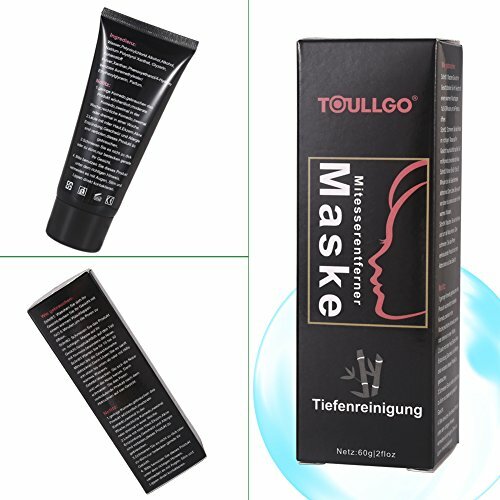 Ⅱ. Producted by ToullGo: This full face Activated Natural Charcoal Mask is used in the aid of removing acne, blackheads and skin impurities on the entire face. It allows for a deep cleansing leaving your face feeling fresh, clean and revitalised. Ⅲ. 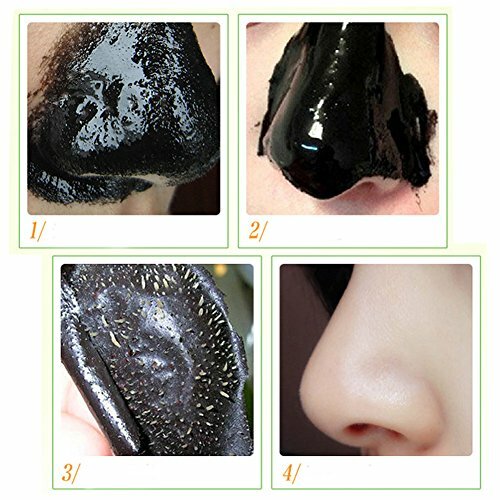 Use Cycle: Mild blackheads, once a week, moderate blackhead, twice weekly, severe blackheads, 2-3 times a week. Ⅳ. Working Effect: Penetration is very stronger, Absorbing pores of blackheads and stubborn dirt, shrink pores, regulate oil secretion, effectively improve the rough. Ⅴ. Please Pay Attention to: Suitable for all skin types, fragile or sensitive skin, please apply a small amount of the product at the back of the hand or ear, if no allergic reactions (itching, redness) within 5 minutes before use.